Review: I’ve owned 4 different Fitbits so far. The Surge is definitely the coolest & most advanced one of them so far. Fitbit’s app & dashboard. It’s fantastic. It’s very customizable and you can track your sleep, water intake, calorie intake, weight, food plans, and more. You want motivation? You got it. Add some of your friends who own Fitbits, which could be a lot of friends knowing this community, and challenge each other in a Weekend Warrior challenge, or maybe a Workweek Hustle to see who can get the most steps in. If you don’t want to participate in challenges, you can hit a little button and “cheer” or “taunt” them, or just send a message. When you’re working out, unless you tell it what exercise you’re doing, the Surge will make an educated guess. For example, I went on a hike one night and it guessed that I was mountain biking. I went into the app, edited the activity and updated it in just a few moments. The connected GPS is a great feature on this tracker. I don’t always carry my phone with me, so it’s great to be able to keep track of my routes without carrying more stuff on me. You get a nice map on your dashboard showing your route and mile markers when you’re done. Sometimes it can take a little while for the GPS to find you, which is annoying when you want to get moving, but only once in the deep woods have I ever had an issue with it losing where I was. Smartly enough, the GPS tracking is available for certain activities, like biking, hiking, or walking, and not for things like yoga, lifting weights, or the elliptical. The Surge is really easy to use, even for someone with limited tech skills like me. Setting up the device can be a little tricky but the instructions on line are good and their customer service is very good. They have live chat and phone options for assistance, and a great community section where you can often find answers to your questions for any Fitbit device. The face display is customizable to 3 different ways to view, but the thing I love the most is that it’s so easy to read in the bright sunlight. It automatically adjusts to the brightness of your surroundings so that you can always read it. You can set the Surge to brighten when you raise your arm, or leave that feature off and just tap the Gorilla Glass face and it will brighten then for you. It’s still not waterproof. Now, having said that, a friend wore hers in the ocean and in the pool with just some waterproof medical tape over the charging port, and it was fine. It’s not a good device for karate/kickboxing and other contact sports. IMO, it’s just too big. One time it left bruises on my wrist from moving around and making impact. Another time I ended up leaving bruises on my partner’s wrist when we were practicing punching & blocking. The good news is that if you have a second Fitbit device because you upgraded, you can use the other device and still get credit for your steps when you sync the devices. 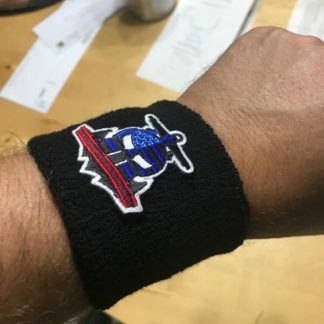 I have a ChargeHR that I will often wear to karate instead, and after class I edit the activities to record the karate class. You have a choice of 3 colors: Tangerine (yikes), Blue, or Black (which ends up looking sort of like a felon’s tracking device that you wear on your wrist instead of your ankle). You can’t change the band out either, so if you break it, you’re screwed. Fitbit encourages you to wash the band with some gentle soap to avoid skin irritation, and it’s important to know that some people have had some significant allergic reactions to it. Overall, it’s probably more of a fitness tracker than I need, but I really like it & would recommend it. Fitbit has really good customer service. I started wearing the One in 2012, upgraded to the Force (later recalled), then the ChargeHR, and now the Surge. The devices come with a one year warranty. 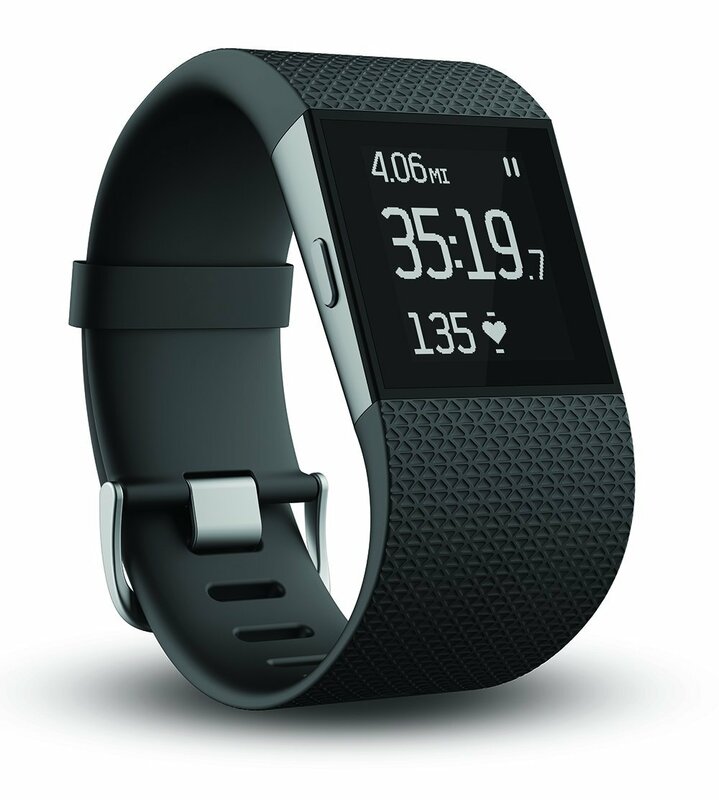 NOTE: You CANNOT buy an extended warranty from Fitbit, though you can if you buy the device at one of their Authorized Retailers. Review: Comfortable and easy to use for tracking steps and activity! 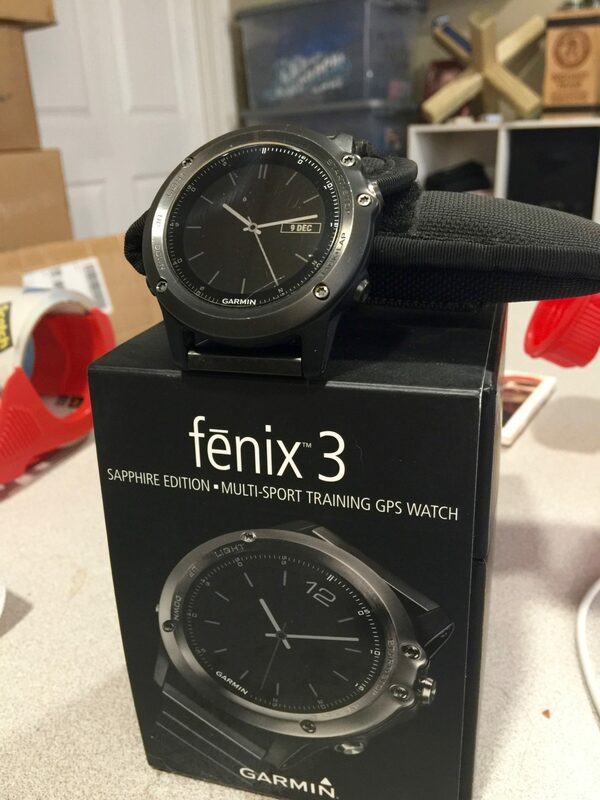 This past summer, I got a Garmin Fenix 3. 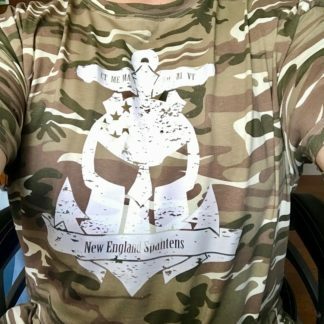 Here’s what it is, why I like it, and why I don’t wear it any more. Firstly, if you want to read a SUPER detailed review – click here. This guy writes the best reviews on the market. The Garmin Fenix 3 is, primarily, a GPS watch. Except, it’s a really really smart GPS watch. It had better be, because it’s also a really really expensive GPS watch. 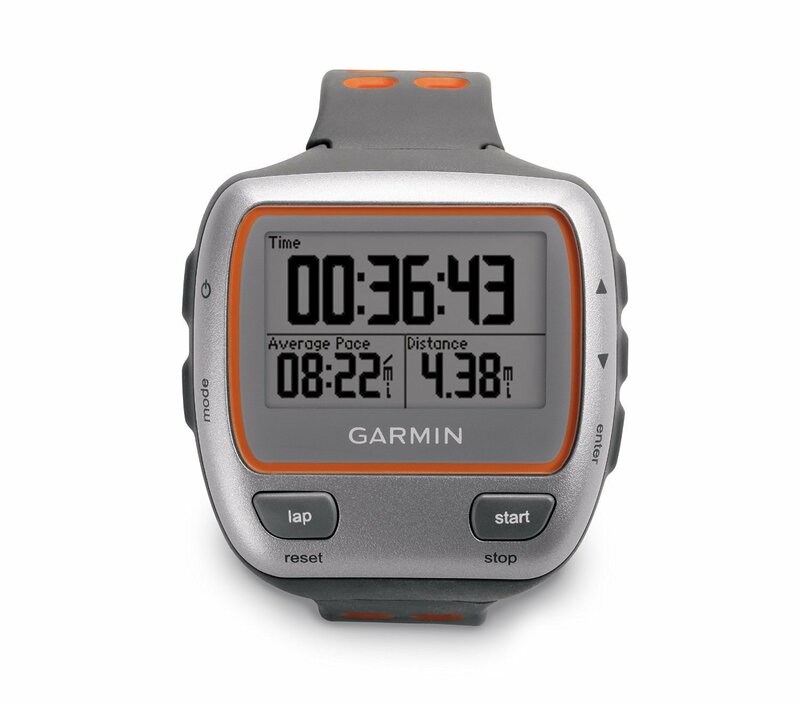 As a GPS watch, it does everything the OCR enthusiast needs it to do – it starts up quickly, and locks onto satellites as quick as you could expect (some venues, this takes longer than others – not the fault of the watch). 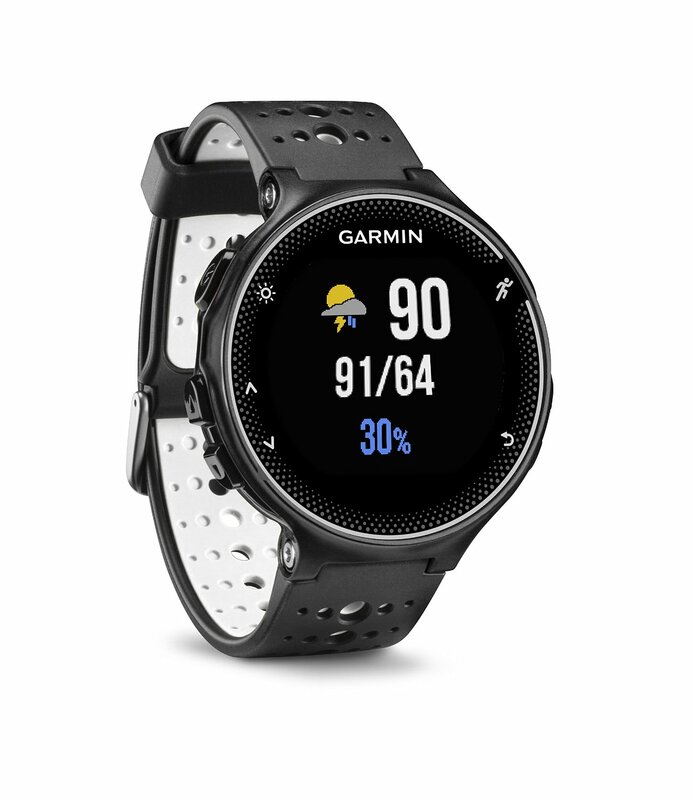 It offers several tracking types – walk, run, hike, cycle – and even swim – and the ability to do multi-sport for triathletes and similar multi-sport athletes. Each tracking type has different things it displays – speed, pace, elevation, external temperature, and all this is customizable – you can get any information you need through a Fenix 3. 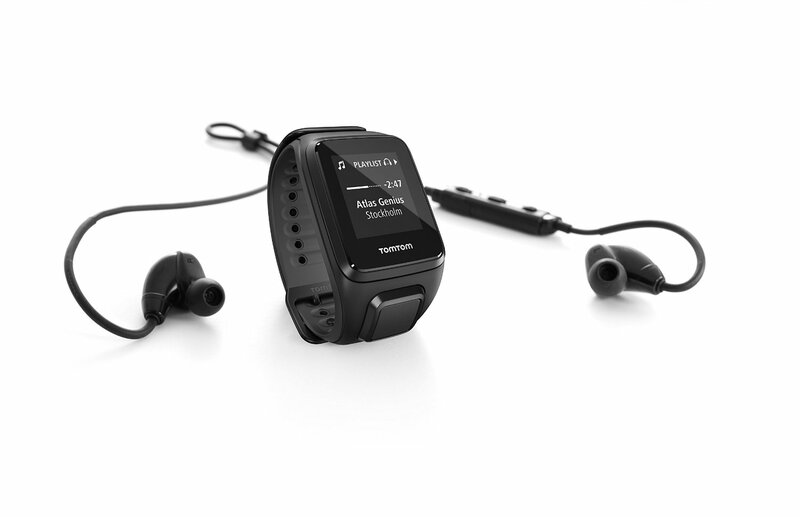 But, there are considerably cheaper GPS watches that do much of this – so why the Fenix3? Many people out there also use an activity tracker. Something to track your steps and calories during a day, maybe even your sleep at night. Many also have a smart watch – something that notifies them of messages on their phone. The Fenix 3 does all this too, and well. 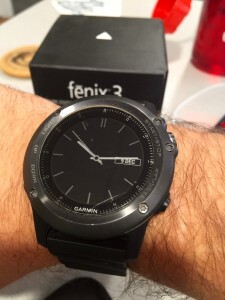 A huge benefit of the Fenix3 over the other watches on the market is it’s battery life. When Apple announced the Apple Watch, they touted an “all day battery” – the Fenix3 kills that, and routinely will go days – if not a full week – between charging – and if you enjoy endurance events, the Fenix3 will run for hours and hours – in fact, I spend all day at the VT Beast, with a 9 hour finish, and the watch still had 50% battery life. Lets also cover the app. You can sync this watch to computers over the USB charging dock, or through wifi and bluetooth with your cell or tablet – the Garmin Connect app is fairly easy to use (especially after it’s recent major update), but the website that stores all your activities is still pretty clunky and feels old fashioned, compared to the Web2.0 tools other vendors have. Now – the big one. Why don’t I wear it anymore? I do – for racing. It’s rugged, it’s tough, it tracks every damn thing you could ever want, and will last longer than I will on the course. For OCR, it’s damn near perfect. I don’t – for day to day stuff. Despite how well it tracks everything, and the great job it does as a smart watch – I recently bought an Apple Watch and it just does a better job of *that* stuff. The Garmin may be the best tracking tool out there, but without access to RunKeeper, I was missing a ton of my old running data, missing some of the best social media integration out there, and as an owner of a Withings scale, it was a pain to get current weight info in there (there’s a hacky workaround, if you’re interested). It’s also big, which I don’t mind – but smaller folks may be bugged by that. So, who should drop the money on a watch like this? If you want the best GPS watch on the market, and want to replace (or get) smart watches and daily trackers – you want this. If you want a sturdy, resiliant daily wear watch – you want this. If you need to track multiple sports – including water – and track them for more than a few hours – the Fenix3 is for you too. It’s an expensive watch, but it’s worth the investment if you’re looking for the best “all in one” out there, and can live with it’s bulk. Thank you, Mike Downey, for the awesome review. These seem very handy, might have to try a pair myself! 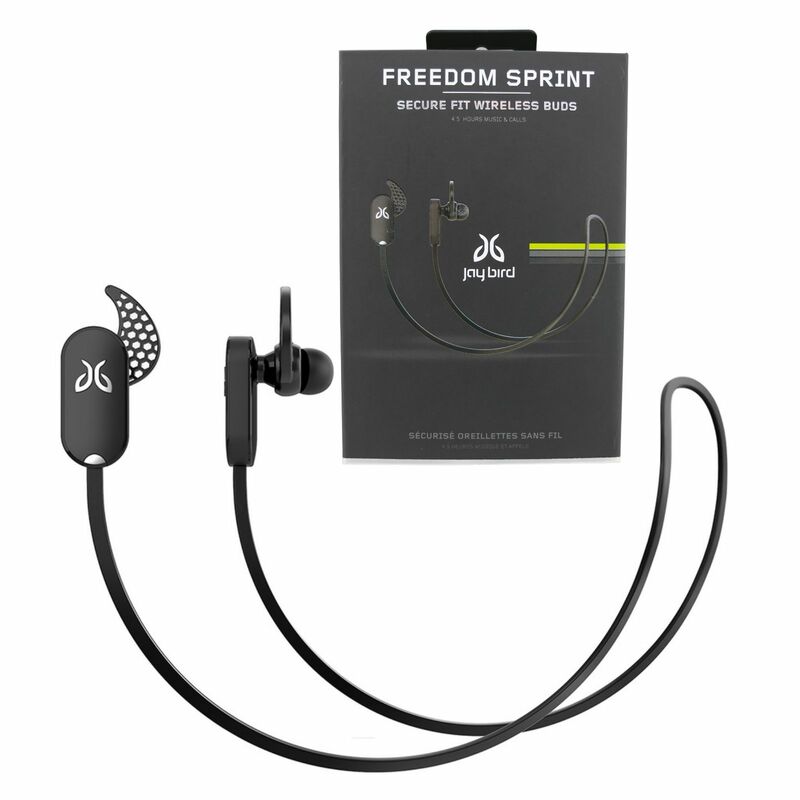 I have been searching for some Bluetooth headphones for a while to make life at the gym and races easier. So, based on a few recommendations, I picked these up. I am one who is very picky on sound and fit. I used to use the yurbuds but never liked the sound all that much due to lack of rich bass, but, the jaybirds give me as good of a sound as any sound system or headphones I’ve ever used . These are in ear buds and the fit is very comfortable. They come with 3 sizes of the ear plugs, 3 sizes of the comma clip that helps keep them in the ear, and 2 over the ear clips so most people should be able to find a solid fit. Synching these to your phone was super simple and quick. They bill it as having about 4.5 hrs of music time and a 2 hr charge time and so far I think it lives up to that . As for range from device in a clear area you can be about 20 ft from the device before you have any issues. This is a good and bad thing. Bad because there have been a few times I forget my phone on the treadmill and start walking away because I am used to my phone being on me with wired phones. They don’t recommend keeping it in your pocket because body mass can affect signal and such. For road races I keep it in my right pocket ( the BT receiver is in the right ear piece) and as long as I do not turn my head to far left or right I have no major issues with signal. 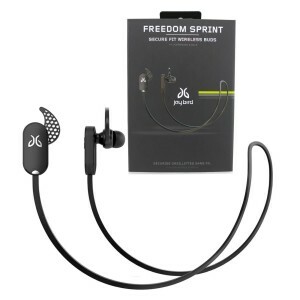 I give these a 5* rating my only negative issue with them is the cord material because when your running and start to get a sweat going I find it gets stuck to my neck and any head movement causes the ear buds to pull a tiny bit. Thanks to Mike Downey for the review! 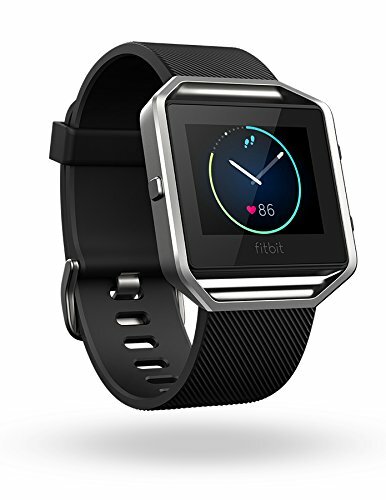 Fitbit is one of the more popular health tracking products out there. 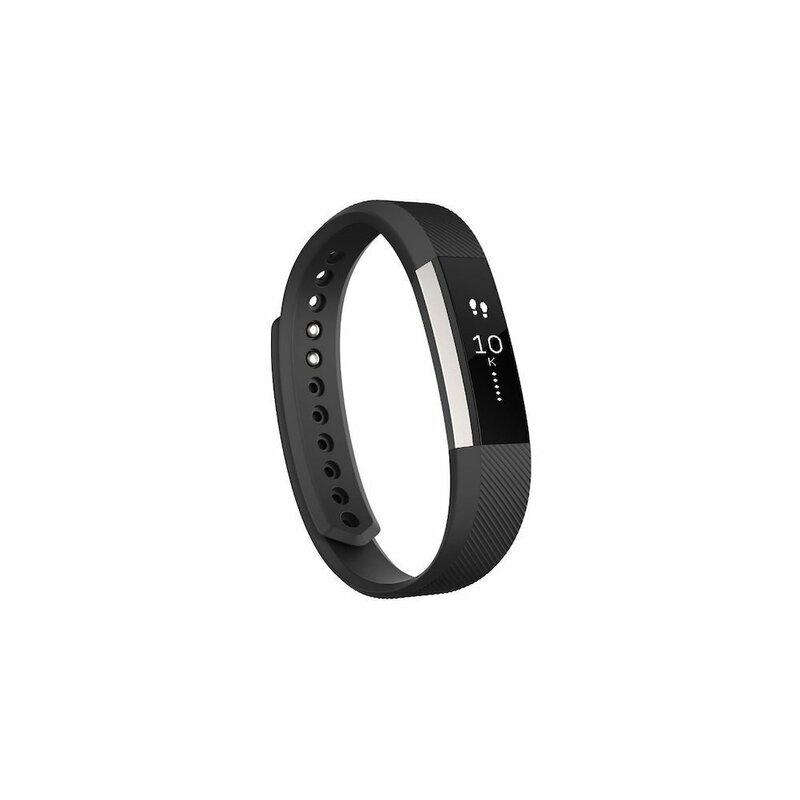 The Fitbit flex is there middle of the line model priced at $99.00. 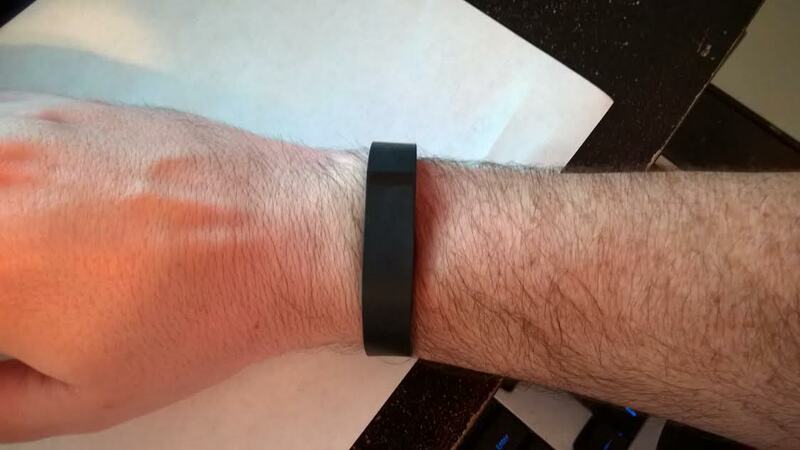 You get 2 different size bracelets, the fit bit tracker piece, a usb dongle to sync it to your computer. The software for your computer, tablet and phone is very easy to install and user friendly. if your phone has bluetooth ( what phone dosent these days ) you can synch the device up with the app on the phone to update stats. The device tracks steps (not an exact science). As far as I am aware, its based on your hand movement as you walk/ run. One bit of info, make sure in the app you set up if the device is on your dominate hand or passive hand so it can compensate for that . The app also tracks sleep patters (my fav feature) approximate calories burnt and distance traveled. You can manually input your calorie intake, water intake and some of your activity at the gym . There are a few bits I wish were more flexible and accurate with the device but overall I think this device can be used as a good tool to take some more insight to your health and see where your hitting the mark and where you might be falling short. Don’t have a GoPro and looking for a cost effective alternative? Matt Parker sent in this great lil review for an iPhone case that does just that! Thanks, Matt! The LifeProof fre case for the iPhone 5 is a great option for those of us who want to take pictures or videos during an OCR, but don’t want to spend the big bucks on a GoPro (or similar device). 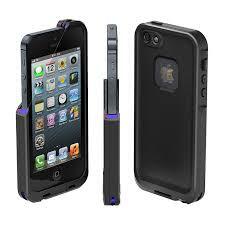 I’ve had a LifeProof case for about a year and mainly used it to keep my phone dry while running (road races). 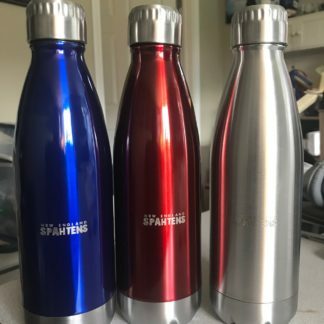 After taking a few trips for Spartan Races, I was looking for something I could bring withe me on course to take pictures. I gave the LifeProof case a shot while at the Hawaii Trifecta weekend. I was able to take awesome photos and videos and never had an issue with water, mud, or dirt getting to my phone. The fre case has a built in screen protector that works well and doesn’t have too much glare. Overall its a great (and cheaper) alternative to a GoPro. The only downside is that there is no connector for a wriststrap or lanyard to hang the phone. You either have to hold it or put it in your pocket / pack.